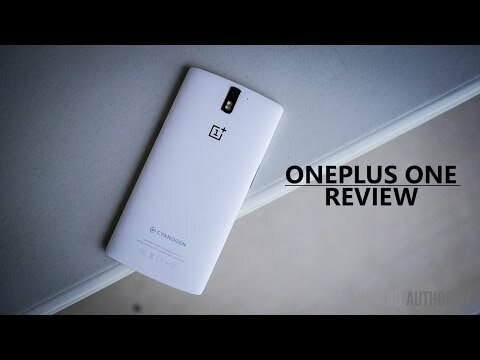 It’s been more than a full year since the OnePlus One was announced, and it’s safe to say that many folks are interested in what the new Chinese smartphone manufacturer will release next. 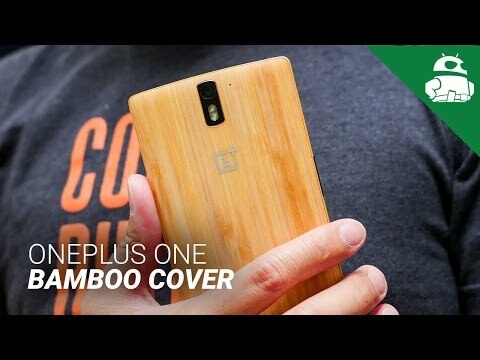 At the time of its unveiling, the One featured top of the line specifications, which did a great job of backing up OnePlus‘ slogan – “Never Settle.” Of course, that doesn’t mean the OnePlus One didn’t come without its caveats, though. Through a series of embarrassing marketing blunders and the not-so-popular invite system, many folks found it difficult to justify purchasing one of the handsets. Still that didn’t take away from the fact that the OnePlus One was one of the best smartphones released in 2014. With only a few more weeks separating us from the OnePlus 2’s official unveiling, OnePlus has already begun slowly trickling out specifications that will be included in the next handset. Although we’re slowly getting a clearer picture of what the device will look like, there’s still quite a bit we don’t know. With that said, let’s jump right in and take a look at some of the most prominent rumors, as well as some of the confirmed details relating to the OnePlus 2. OnePlus has yet to release anything official regarding the OnePlus 2’s materials, though rumors have been circulating for some time that the phone might come with an all-metal chassis. For starters, CEO Pete Lau teased on his Weibo account that this rumor may be true. Soon after that, we got our first early look at what’s purported to be the new handset, featuring none other than an all-metal design. The leaked smartphone render didn’t really show us anything too out of the ordinary – a rear-facing camera, a volume rocker on the right-hand side, as well as a standard 3.5mm headphone jack up top. It should be noted that we can’t vouch for the validity of the image in any way, so this rumor should be taken with a grain of salt. To get a closer look at the supposed leaked render, be sure to head to our original coverage by following this link. Soon after we got a glimpse at that early render, the OnePlus 2 passed through China’s TENAA certification center, giving us a good first look at the device. In the images above, we’re seeing a physical home button, which is where the fingerprint scanner will likely be housed. We’d imagine this physical button will also be flanked by optional capacitive buttons, though we’re not exactly sure if those will return for this year’s model. The device’s rear-facing camera sensor has been moved down as well, but other than that, the OnePlus 2 looks very similar to the OnePlus One. The display is another aspect of the OnePlus 2 that we know little to nothing about, though there’s no harm in speculating based on current trends in the industry. For starters, there have been rumors floating around that the device could possibly employ a screen that measures approximately 5.5 to 5.7 inches diagonally. The OnePlus One carried a 5.5-inch display, which seemed to be the perfect size for many users who wanted a phablet, but didn’t want to go as big as a six-inch display. Increasing the screen size by .2 inches could put it up against the Galaxy Note line, though this slight increase could also turn some users away who value one-handed usability. As for the resolution, we haven’t heard much on this front, either. The OnePlus One came with a Full HD (1920 x 1080) screen, so it would only be a natural progression for the OnePlus 2 to come with a Quad HD screen, like we’re seeing with more and more flagships nowadays. Of course, bumping the resolution up to Quad HD also means battery life will suffer, but keeping in mind OnePlus’ specification philosophy, we’d be surprised if the 2 didn’t come with a bump in resolution. The company has also confirmed that the OnePlus 2 will come with the new Qualcomm Snapdragon 810 v2.1 processor. Despite many reports claiming that the original Snapdragon 810 runs too hot, OnePlus assures that this new CPU will run “cooler than ever.” This also means that the device will come with the perfectly capable Adreno 430 GPU, which is good news for the gamers out there. Aside from the Snapdragon 810 v2.1, the company also says that the device will feature 4GB of LPDDR4 RAM, which will bring faster loading times, smooth gameplay and a slew of energy saving features to the device. If you’d like to get a better understanding of what the term “LPDDR4” means, our very own Rob Triggs explained it very clearly in his post “LPDDR4 – everything you need to know“. Google recently announced at Google I/O 2015 that USB Type-C would be the standard for Android devices going forward. We already have a good feeling that the next Nexus device(s) will come with this new port, but OnePlus may actually beat Google to the punch with this one. OnePlus announced that its next smartphone would also come with a new USB Type-C port, which is really nice to see. USB Type-C is a smaller, reversible port that brings support for reversible charging. It’s also a heck of a lot more convenient than the standard MicroUSB ports we have on our devices today. For more information about what exactly the benefits are when it comes to this new port, be sure to check out: What is USB Type-C? How does it change the game? 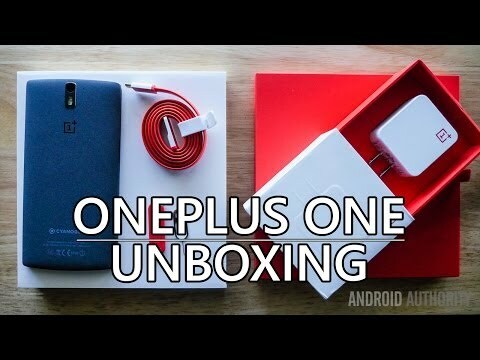 OnePlus recently held an AMA on Reddit, revealing a few notable specifications for the device. During the talk, OnePlus revealed that the OnePlus 2 will feature a big 3300mAh battery, which is nearly a 10% increase over the One’s unit. CEO Pete Lau took to the company’s Weibo page to announce that the company’s next flagship will feature dual-SIM card support, which will likely be a feature welcomed by many users around the world. This, of course, also opens up the possibility that the device could come with microSD card expansion. A number of existing dual-SIM smartphones have already implemented technology that allows the second tray to use a SIM card or double up as a microSD expansion slot. It’s possible that OnePlus may make use of this technology to offer two new features in one stroke. However, this is just a hopeful assumption at this point. Although early rumors claimed that the OnePlus 2 would feature a 16MP rear shooter, we now know a little more about the device’s camera sensors. Prolific Youtuber MKBHD got a chance to test out the flagship’s camera, which has given us a good look at what it’s capable of. The device sports a 13MP rear camera with an f/2.0 aperture, though there doesn’t appear to be any optical image stabilization. The phone is, however, making use of laser auto-focus technology to bring nearby objects into focus very quickly. We first saw this type of technology in a smartphone back with the LG G3. 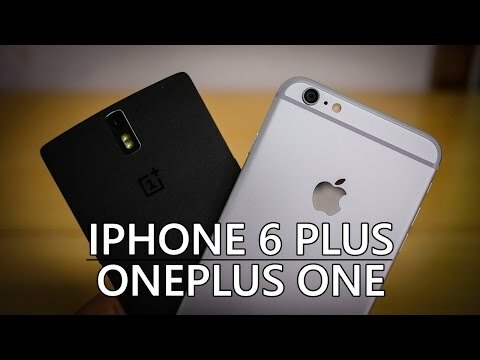 After MKBHD posted his initial thoughts on the camera, OnePlus CEO Pete Lau uploaded some sample shots to the company’s forum, pitting the OnePlus 2 against the Samsung Galaxy S6 and Apple’s iPhone 6. While the OnePlus 2 seemed to hold it’s own against Samsung’s and Apple’s offerings, you’ll want to check out the camera samples for yourself to get a better look. The OnePlus One originally shipped with CyanogenMod 11S, which is based off of Android 4.4 KitKat. Although many consumers were huge fans of the software, there’s unfortunately no chance that the OnePlus 2 will ship with Cyanogen OS installed by default. Back in April, Cyanogen and OnePlus experienced an entirely overdramatic breakup, which basically meant that the two companies wouldn’t be working together in the future. But not all is lost for OnePlus on the software side, though. OnePlus has developed its own software, dubbed Oxygen OS, which brings a few nifty gestures, quick settings improvements and more to a familiar “vanilla” Android look and feel. Oxygen OS is available for download for the OnePlus One, and will be the operating system that powers the OnePlus 2. We still don’t have much information on what the software will bring this time around, so we’ll need to wait until the official unveiling to find out more about the software. Not too long ago, there became reason to believe that the OnePlus 2 may arrive in three different variants, thanks to three different model numbers passing through Bluetooth SIG. The model numbers, named A2001, A2003, and A2005, unfortunately don’t bring any new information to the table. Although we’re unsure at the moment, it would be reasonable to assume that the three numbers stand for different storage capacities, such as 32/64/128GB variants. It’s also possible that OnePlus may have versions with different modems planned this time around, which could be important if the company is planning a broader global release. OnePlus has not been shy when it comes to revealing price and release date information. In late June, the company announced that the OnePlus 2 would be officially unveiled to the public on Monday, July 27th at 7PM PT… in virtual reality. The announcement will be streamed live in VR so folks can experience it with their OnePlus-branded Cardboard viewers, which the company was giving away not too long ago. 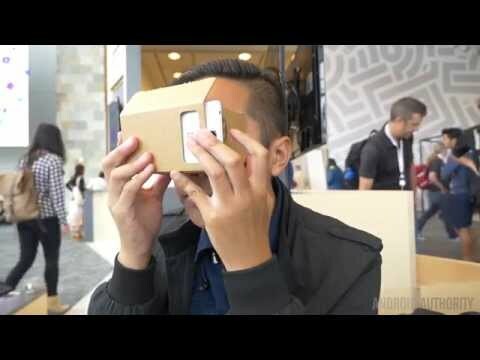 Since Google Cardboard is essentially an empty shell that relies heavily on the phone’s software to run, everyone with another type of Cardboard viewer will have access to the unveiling. On the pricing front, according to OnePlus CEO Pete Lau, the OnePlus 2 will cost less than 450 USD. There was no mention of a specific price point when the company announced this information the other day, so we’re unsure if the price will be closer to $449.99 or $300 like the OnePlus One. Last year, Lau teased that the company’s first flagship would cost “less than $400″, and they absolutely delivered on that promise. Not only did the 16GB base model cost $299, but folks could also pick up the beefier 64GB variant for just $349. We could see a slight price hike this time around, but we’re sure most users will still be interested in the device if it costs upwards of $400. We’re committed to maintaining razor-thin margins in order to give as much value as possible back to our users, and this drastically increases our risk. The OnePlus 2 will bring the challenges that come along with a brand new product, and initially, our invite system will help us to manage that risk. As for the invite system for the OnePlus 2, the company claims that invites should be much easier to come by. OnePlus says it will have 30-50x more stock at launch than it did with the One, which will allow for more users to adopt the handset early on. OnePlus also says it will give out sharable invites much sooner. Moving on, the company also plans to launch a reservation list allowing people to register for an invite and not requiring them to jump through eternal hoops. If you were one of the early OnePlus forum supporters, you’ll also get priority on the reservation list so you should get a device a lot sooner. We’ll be sure to update this post as soon as we get some more information about the OnePlus 2. And if you have any rumors you’d like to add or thoughts on the upcoming smartphone, be sure to let us know in the comment section below.